Here's a training table series that lets you be in control. 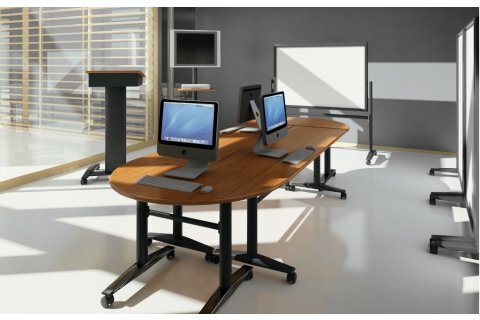 Stylishly designed and highly versatile, the Lumina Flipper Table series by Balt lets you customize and configure your training tables to meet your specific needs. 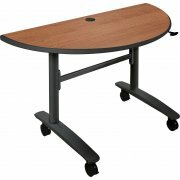 These training tables come in rectangular and half round shapes for endless layout possibilities. The handy lever mechanism lets you flip the tabletops with one hand for easy setup and compact storage. 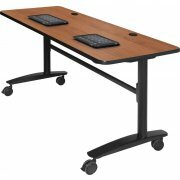 With a durable high-pressure laminate finish over a black powder-coated frame, this training table series is as practical as it is beautiful.